“We were unable to return you to your webpage. I suspicion, of course, immediately on add-ons in IE, so I start IE ​​without add-ons. It can be found under Start – All Programs – Accessories – System Tools – click Internet Explorer (No Add-ons). If a website is normally opened, then it is guilty one of the active installed add-ons. 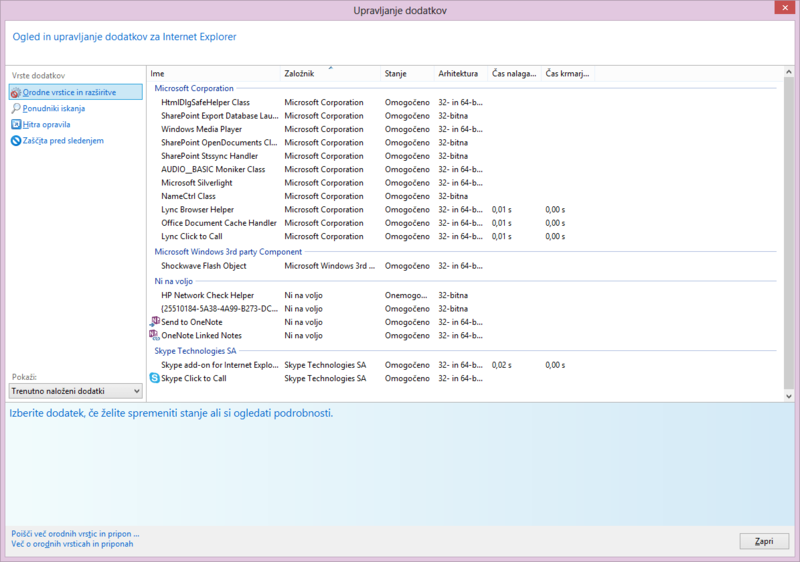 In IE open Tools – Internet Options – Programs – Manage Add-ons and mark all the add-ons and disable them. Then, one by one enable it back. As in my case was a problem opening intranet website from SharePoint Server, so I finally get to add-on for SharePoint. Problem cause SharePoint Export Database Launcher.